A style, or theme, is a consistent idea used throughout a room to create a feeling of completeness. Styles are not to be confused with design concepts, or the higher-level party, which involve a deeper understanding of the architectural context, the socio-cultural and the programmatic requirements of the client. These themes often follow period styles. Examples of this are Louis XV, Louis XVI, Victorian, Islamic, Feng Shui, International, Mid-Century Modern, Minimalist, English Georgian, Gothic, Indian Mughal, Art Deco, and many more. The evolution of interior decoration themes has now grown to include themes not necessarily consistent with a specific period style allowing the mixing of pieces from different periods. Each element should contribute to form, function, or both and maintain a consistent standard of quality and combine to create the desired design. 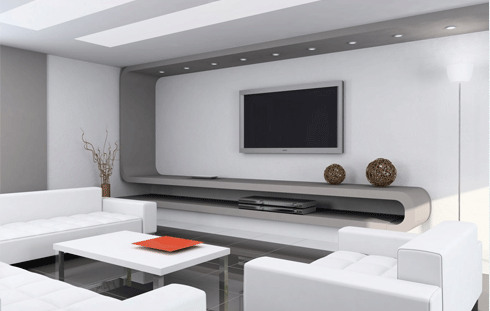 A designer develops a home architecture and interior design for a customer that has a style and theme that the prospective owner likes and mentally connects to. For the last 10 years, decorators, designers, and architects have been re-discovering the unique furniture that was developed post-war of the 1950s and the 1960s from new material that were developed for military applications. Some of the trendsetters include Charles and Ray Eames, Knoll and Herman Miller. Themes in home design are usually not overused, but serves as a guideline for designing. Many interior design students want to get into new home interior design. It is a fun career with lots of interaction with people. When people buy a new home, they immediately want to start on designing. This is where the enlightened interior designer comes in handy. They will instruct their clients that major re-design could affect your decorating for years to come. If you choose a bold color for the walls, will your furniture be coordinated? Alternatively, do you have to purchase new furniture? Many people will paint their walls a neutral color and then alter their design plans later. It is easy to get carried away when all you see are large open empty rooms. Try working on one room at a time, that way you can blend one room into another. Site visits, Shop visits, latest Materials Introduction, Classes from Experts will be given in regular intervals.